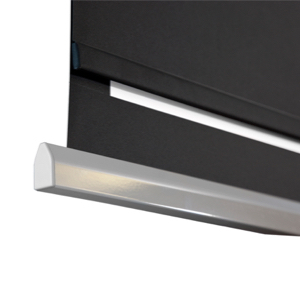 The Q-Series screen has its screen fabric fall from the front. 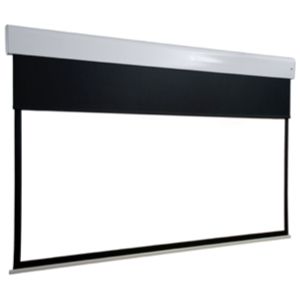 This way you can install the screen to a wall or ceiling and still have the screen fabric in front of a flatscreen or painting on the wall. Installation of the motor is standard on the right side of the screen (when looking at the front of the screen). A cable will run from the back of the casing. 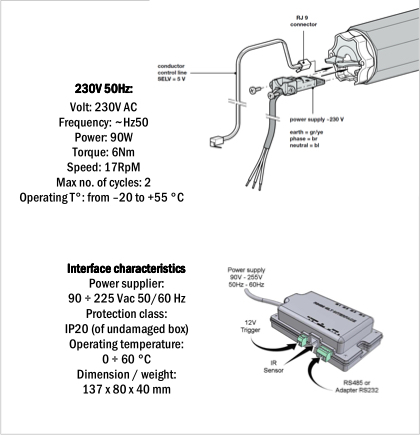 The installed motor (230V) has an external control interface system. An infra red remote is included. 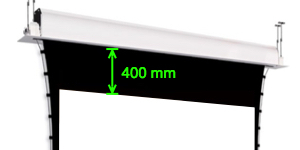 With one press on a button the screen will transform to the required aspect ratio. * With certain screen fabric dimensions there is a limitation to the top border. 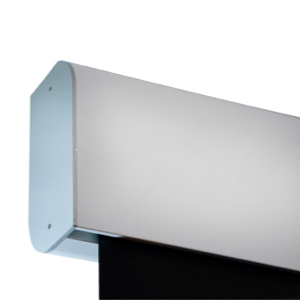 The Beamax Q-Series, Masking screen, is made for the true home cinema enthousiast which doesn’t want to compromise when it comes to black borders and aspect ratio. 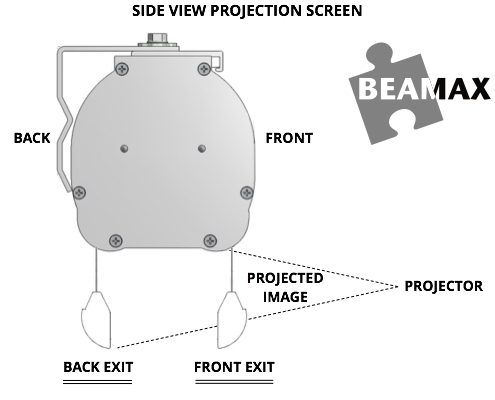 The screen is distinguished by the presence of two independent projection surfaces (a top masking surface and a rear projection surface), attached to two rollers: by synchronising them the format of the projection area can be varied, to obtain an image which is always bordered with black edges, enhancing contrast. Two more formats, with height lower than that of the starting format, can be added according to choice.